The Columbus Blue Jackets have signed defenseman Seth Jones to a six-year, $32.4 million contract extension with an average annual value of $5.4 million. Jones was set to become a restricted free agent July 1. By signing Jones prior to the free agency deadline, Blue Jackets general manager Jarmo Kekalainen can altogether rule out any possibility of an offer sheet made by another team. Columbus acquired Jones earlier this season in a trade that sent top-line center Ryan Johansen to Nashville. 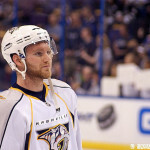 He was selected fourth overall by the Predators in the 2013 NHL Entry Draft despite ranking first on most experts’ final draft rankings. Jones, 21, scored 20 points in 41 games with the Blue Jackets this season after tallying 11 in 40 games with Nashville prior to the trade. 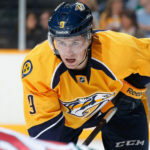 Jones has 17 goals and 83 points in 240 career regular-season games with Nashville and Columbus, as well as four assists in six career playoff games with Nashville. The deal brought the Jackets to within $50,000 of the upper cap limit, but the team has since bought out the final two years of defenseman Fedor Tyutin’s contract and the final year of forward Jared Boll’s contract, which should clear up around $4.4 million for Columbus. Jones will now be a key piece of Columbus’ young blue line, which should feature Ryan Murray and Zach Werenski next season.